Harris, Carolyn. "Prince Philip (HRH The Duke of Edinburgh)". The Canadian Encyclopedia, 05 April 2018, Historica Canada. https://www.thecanadianencyclopedia.ca/en/article/prince-philip-hrh-the-duke-of-edinburgh. Accessed 18 April 2019. His Royal Highness (HRH) The Duke of Edinburgh (Prince Philip), consort of Queen Elizabeth II, Queen of Canada, the United Kingdom and 14 other Commonwealth realms (born 10 June 1921 in Corfu, Greece). His Royal Highness (HRH) The Duke of Edinburgh (Prince Philip), consort of Queen Elizabeth II, Queen of Canada, the United Kingdom and 14 other Commonwealth realms (born 10 June 1921 in Corfu, Greece). 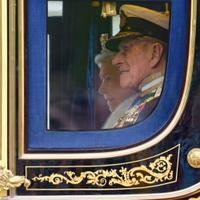 Philip is the longest-serving royal consort in British and Commonwealth history. Philip founded The Duke of Edinburgh’s Award, which fosters the personal growth of young people around the world. Prince Philip of Greece and Denmark was born on the island of Corfu on 10 June 1921. He was the youngest child and only son of Prince Andrew of Greece and Denmark (1882–1944) and Princess Alice of Battenberg (1885–1969). Andrew’s father, King George I of Greece (1845–1913), was born Prince William of Denmark before being invited to become King of Greece in 1863. Andrew’s mother, Queen Olga of Greece (1851–1926), was born Grand Duchess Olga Constantinovna of Russia. 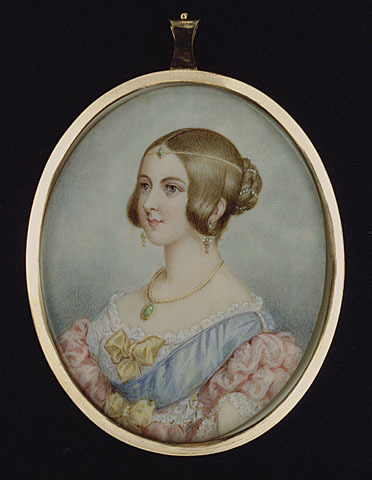 Philip’s mother, Alice, was a great-granddaughter of Queen Victoria through her mother and grandmother. When the British royal family abolished their German titles in 1917, Alice’s parents, Prince Louis of Battenberg (1854–1921) and Princess Victoria of Hesse (1863–1950), anglicized their family name to Mountbatten and received the titles of Marquess and Marchioness of Milford Haven. When Philip was born, his uncle, King Constantine I, occupied an increasingly unstable Greek throne. Greece suffered immense losses and eventual defeat in the Greco-Turkish War of 1919–22. Philip’s father, Andrew, commanded the Second Army Corps at the Battle of Sakarya in 1921, and disobeyed the orders of his commanding general to avoid putting his troops in unnecessary danger. The following year, a coup d’état led to Andrew’s court martial and the abdication of Constantine I. Andrew, Alice and their five children, including 18-month-old Philip, fled Greece aboard a British cruiser, the HMS Calypso. The exiled family resided initially in St-Cloud, outside Paris, but within 10 years had dispersed. Philip himself left in 1928 to attend school in England. In 1930, his mother, Alice, was committed to a mental asylum in Switzerland following a nervous breakdown. Philip’s four older sisters married German princes in 1930 and 1931, and his father moved to the French Riviera with his mistress. In 1927, Philip began his education at an American day school in Paris. The following year, he began boarding school at Cheam, which was then located just outside London, and spent time with his Mountbatten grandmother and uncles. In 1933, 12-year-old Philip left Cheam to attend the Salem School in Baden-Württemberg, Germany, which had been founded by Kurt Hahn and was owned by his sister Theodora’s father-in-law, Prince Maximilian of Baden. However, soon after, the Jewish Hahn fled Nazi persecution and established the Gordonstoun School near Moray Firth in Scotland. In 1934, Philip returned to Britain to complete his secondary education at Gordonstoun, where Hahn emphasized outdoor education and personal development. This education shaped Philip’s vision for the Duke of Edinburgh Award Program. Philip and the future Queen Elizabeth II were distant cousins through their common descent from the British and Danish royal families. Philip’s uncle, Lord Louis Mountbatten, encouraged meetings between the two young people. In 1939, 18-year-old Philip escorted 13-year-old Elizabeth and her sister Margaret on a tour of the Dartmouth Naval College and they corresponded throughout the Second World War. In 1939, Philip joined the Royal Navy as a cadet. There was a long tradition of Royal Naval service in the Mountbatten family. Philip’s grandfather was an Admiral of the Fleet and First Sea Lord from 1912 to 1914. Louis Mountbatten was a Captain at the time Philip joined the Royal Navy and would rise to the rank of Admiral of the Fleet after the Second World War. In 1942, 21-year-old Philip was promoted to Lieutenant and appointed second-in-command of the HMS Wallace, which took part in the Allied invasion of Sicily in July 1943. Following further training, he became second-in-command of a new fleet destroyer, the HMS Whelp, and joined the 27th Destroyer Flotilla of the British Pacific Fleet. The HMS Whelp was present in Tokyo Bay when Japan formally surrendered to the Allies on 2 September 1945, returning to the United Kingdom in January 1946. Philip spent a number of his wartime leaves at Windsor Castle. After the end of the war, Philip and Elizabeth had the opportunity to spend more time together and discuss marriage. Despite Philip’s royal ancestry, the British elite viewed him as a controversial choice of husband. The British aristocracy viewed the exiled Greek Prince, who described himself as having “no fixed address,” as an outsider and hoped that the future Queen would marry a British peer. On 9 July 1947, Buckingham Palace announced the betrothal of “The Princess Elizabeth to Lieutenant Philip Mountbatten, R.N.” In Canada, Prime MinisterWilliam Lyon Mackenzie King summoned the King’s Canadian Privy Council to approve the union of the future Queen of Canada.The announcement and the press coverage of the engagement emphasized Philip’s British education, naval service and relatives. During the months preceding the engagement, Philip became a British citizen, converted from the Greek Orthodox faith to the Church of England, and adopted the Mountbatten surname shared by his British uncles. 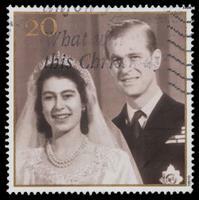 Philip and Elizabeth were married at Westminster Abbey on 20 November 1947. George VI styled Philip HRH the Duke of Edinburgh, Earl of Merioneth and Baron Greenwich. The ceremony was broadcast over BBC radio to an audience of 200 million people around the world, allowing Canada to share in the celebrations. Mackenzie King sent the royal couple antique silver as a wedding gift, in consultation with a former viceregal consort, the Countess of Athlone, who was related to both Elizabeth and Philip. Prince Charles, eldest son of Philip and Elizabeth, was born at Buckingham Palace on 14 November 1948. As was customary at the time, Philip was not present at the birth. The royal couple would have three other children (Princess Anne, born 15 August 1950; Prince Andrew, born 19 February 1960; and Prince Edward, born 10 March 1964). Philip managed the children’s upbringing and schooling, sending Charles to Cheam and Gordonstoun, where he had been educated. Both Andrew and Edward also attended Gordonstoun. Philip and Elizabeth made their first official visit to Canada in 1951, representing George VI, who was suffering from lung cancer. 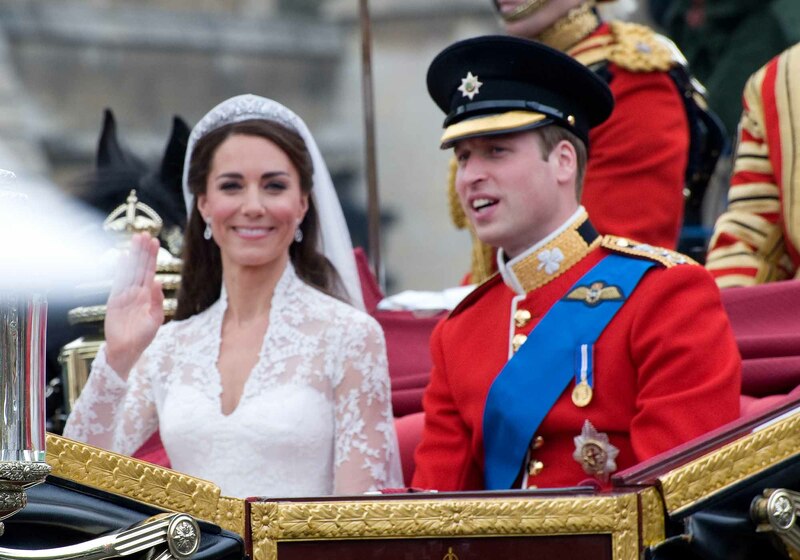 Like William and Kate in 2011, Philip and Elizabeth appeared to Canadians as a glamorous young royal couple. Philip was crucial to this comparatively informal image. He threw himself into local events, square dancing in blue jeans at Rideau Hall and attending a demonstration of the Calgary Stampede in a white stetson hat. While Elizabeth occasionally appeared shy and reserved, Philip was friendly and gregarious with the Canadian crowds. Philip also made his first speeches on Canadian soil during the 1951 tour. In a speech before the Toronto Board of Trade, he stated, “For all this peace at home, the armed forces have built a tradition of courage and determination…in unselfish service far from home for the freedom of others…I was serving in a destroyer off the beaches at Sicily when the Canadian division landed there in 1943.” Philip’s time in Canada in 1951 laid the groundwork for more than six decades of patronage of Canadian institutions. Following the Second World War, Philip worked as an operations officer at the Admiralty, and taught at the Petty Officers’ School. Philip was eager to return to active duty and in 1949, he became second-in-command of the HMS Chequers, Leader of the First Destroyer Flotilla in the Mediterranean Fleet based in Malta. Elizabeth joined her husband for extended periods in Malta and they enjoyed the time spent together in comparative anonymity. In 1950, Philip was promoted to Lieutenant-Commander and commanded the frigate HMS Magpie. George VI died on 6 February 1952 while Philip and Elizabeth were visiting Kenya. Philip broke the news to his wife and they immediately returned to the United Kingdom. The royal couple and their children moved into Buckingham Palace, and Philip immediately set to work creating a new role for himself. He took charge of the management of the royal estates such as Sandringham and Balmoral, reformed the structure of the royal household, increased his patronages and philanthropic activities, and undertook independent royal engagements both in the United Kingdom and around the world. 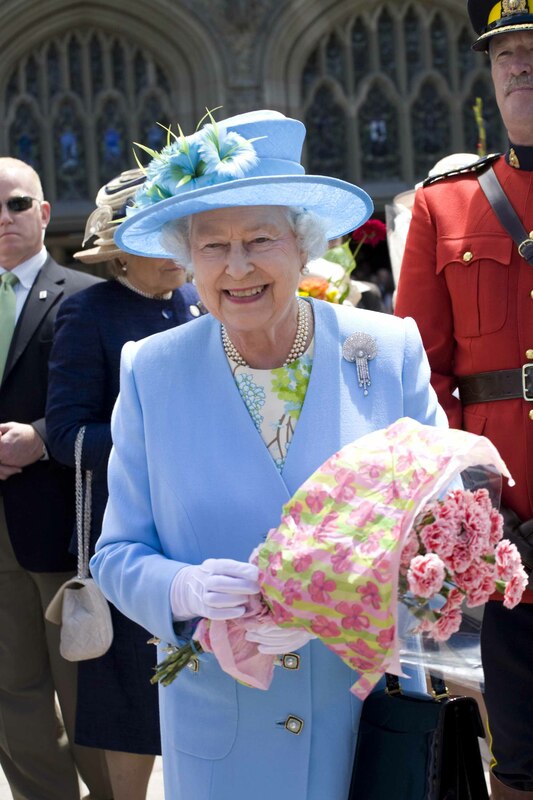 Philip has visited Canada on dozens of occasions both on his own and accompanying the Queen. 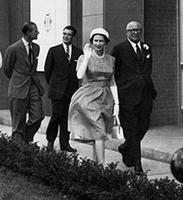 The royal couple spent six weeks touring Canada in 1959, visiting every province and territory. During that tour, the Queen discovered that she was expecting their third child, Andrew, and was therefore unable to fulfill all her public engagements. Philip therefore made appearances on behalf of the Queen as well as his own patronages. In Toronto, he addressed the Canadian Medical Association as its new President, encouraging improved health for young people through “proper physical education in schools, adequate recreational facilities for all ages and sections of the community, an extension of the work of youth organisations both in scope and age, and finally an organisation to publicise sports and recreational activities and to encourage people to take part in them.” At the time, the suggestion that Canadians were out of shape was considered tactless but Philip eventually came to be admired for his promotion of youth athletics. Philip’s solo tours to Canada were often in support of his Canadian patronages, military regiments or Commonwealth events. Philip opened the British Empire and Commonwealth Games in 1954 and attended a number of Commonwealth study conferences in Canada during the 1960s and 1970s. Philip also made frequent visits to Canada to present Duke of Edinburgh Awards and attend fundraising dinners for World Wildlife Fund Canada. In 2013, Philip made a brief visit to Toronto to present new colours to the Third Battalion of the Royal Canadian Regiment at Queen’s Park. 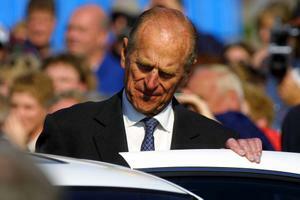 The event attracted worldwide attention because the 91-year-old Prince had reduced his overseas travel. At the start of the visit, Philip was named a Companion of the Order of Canada and a Commander of the Order of Military Merit. Philip has always insisted on drafting his own speeches. In contrast to the Queen, who has maintained strict political impartiality throughout her reign, Philip has used his comparative freedom as her consort to express his opinions. He has become known for his frank views and remarks on a wide range of subjects. In 1969, he expressed his opinions on future of the Canadian monarchy during a press conference in Ottawa, just five years after the Queen faced protestors in Québec City. The monarchy exists in Canada for historical reasons and it exists in the sense that it is of benefit, to the country or to the nation. If at any stage any nation decides that the system is unacceptable then it’s up to them to change it. I think it’s a complete misconception to imagine that the Monarchy exists in the interests of the Monarch — it doesn’t. It exists in the interests of the people: in a sense — we don’t come here for our health, so to speak. We can think of other ways of enjoying ourselves…. The “we don’t come here for our health” portion of the speech has become known as one of Philip’s “gaffes” but the larger context demonstrates that he was interested in an open discussion regarding the monarchy’s future in Canada. Philip maintains a close relationship with the armed forces in the United Kingdom, Canada and the other Commonwealth realms. Philip is honorary Colonel-in-Chief of six Canadian units: The Cameron Highlanders of Ottawa; The Queen's Own Cameron Highlanders of Canada; The Royal Canadian Army Cadets; The Royal Canadian Regiment; The Royal Hamilton Light Infantry (Wentworth Regiment); and The Seaforth Highlanders of Canada. He is patron of the Naval Officers’ Association of Canada and the Royal Canadian Regiment Association and Honorary Commodore of the Royal Canadian Naval Sailing Association. On his 90th birthday, in 2011, he was appointed Lord High Admiral of the Royal Navy, honorary Admiral of the Maritime Command (now the Royal Canadian Navy), General of the Land Force Command (now the Canadian Army) and Air Command (now the Royal Canadian Air Force). In the United Kingdom, he is Admiral of the Fleet, Field Marshal and Marshal of the Royal Air Force. Philip is a patron of more than 800 organizations around the world, including 44 based in Canada. His philanthropic activities reflect his interest in youth, the environment, athletics, the military and technology. His current Canadian patronages include the Canadian Aeronautics and Space Institute, the Canadian Curling Association, the Royal Canadian Yacht Club and the Outward Bound Trust. Philip is also an honorary or life member of numerous Canadian organizations including the Toronto Press Club, the Canadian Medical Association and the Royal Society of Canada. The most famous of Philip’s international philanthropic initiatives is the Duke of Edinburgh Award Program. Philip created the Award in 1956 to encourage young people to challenge themselves and contribute to their communities. The Award operates in over 140 countries around the world and over 8 million people have participated in the program since the 1950s. The Award was launched in Canada in 1963 with the first award ceremonies taking place in 1964. The Award is currently open to young people between the ages of 14 and 24 who can progress to the Bronze, Silver and Gold programs by undertaking projects in the fields of community service, learning new skills, physical fitness and exploring the outdoors with a residential project for Gold Award Winners. In 2014, there were 37,000 Canadian participants in the Award Program. On 4 May 2017, Buckingham Palace announced that Philip would be retiring from public engagements at the end of August, following his 96th birthday in June, and other members of the royal family would accompany the Queen to public events. The announcement prompted many retrospectives of Philip’s career, including his military service, patronage and philanthropy, as well as discussions about the increasing importance and responsibilities of younger members of the royal family. Since about 2010, both the Queen and Prince Philip have reduced their number of public appearances while younger generations of the royal family have assumed a greater public role. In recent years, the Prince of Wales and Duchess of Cornwall (Charles and Camilla) and the Duke and Duchess of Cambridge (William and Kate) have undertaken Commonwealth tours traditionally assumed by the Queen and Prince Philip. Charles and Camilla toured Canada in 2012 to celebrate the Queen’s Diamond Jubilee and will visit again in 2017 for the 150th anniversary of Canada’s confederation. William and Kate also marked the 150th anniversary with a 2016 tour of British Columbia and the Yukon. Philip’s philanthropic interests, especially his concern for the environment, veterans and young people, have exerted a profound influence on his children and grandchildren. Both Charles and William are committed to sustainable development and the preservation of endangered species. William’s younger brother, Prince Harry, will visit Toronto in September 2017 for the Invictus Games, an international sporting event founded by Harry in 2014 for wounded, injured and ill armed forces personnel. Gyles Brandreth, Philip and Elizabeth: Portrait of a Marriage (2004); Philip Eade, Young Prince Philip: His Turbulent Early Life (2011); Tim Heald, The Duke: A Portrait of Prince Philip (1991); Pamela Hicks, Daughter of Empire: Life as a Mountbatten (2012); Denis Judd, Prince Philip: A Biography (1991). Prince Philip, Duke of Edinburgh, Earl of Merioneth and Baron GreenwichBiographical notes about The Duke of Edinburgh from the official website of the British Monarchy. Check the menu on the left for additional information and media. HRH Prince PhilipAn article about the 60th anniversary of HRH Prince Philip’s appointment as Colonel-in-Chief of The Royal Canadian Regiment. Prince Philip Arrives In CanadaA 1954 video showing Prince Philip, Duke of Edinburgh, being greeted by Governor General Vincent Massey and Prime Minister Louis St. Laurent upon his arrival in Canada. From British Pathe. Queen Elizabeth II marries Prince PhilipView a 1947 news report about the Royal Wedding in which Her Royal Highness Princess Elizabeth married Lieutenant Philip Mountbatten at Westminster Abbey. From YouTube. Prince Philip's love affair with CanadaA 2013 CBC News article about Prince Philip’s strong bond with Canada. Prince Philip, Duke of Edinburgh, in Toronto for Battle of York RitesA video of Prince Philip attending the ceremony commemorating the 200th anniversary of the Battle of York at Queen's Park in Toronto. From YouTube. Prince Philip Awarded The Order of CanadaA feature about Prince Philip receiving the highest level of the Order Canada. From the website for The Duke of Edinburgh's Award, a Canadian organization. Young Prince PhilipCheck out this revealing book about the early years of Prince Philip at indigo.com.